Electronic versions available now. Print version available July 1. Pirates in the Caribbean? That’s just the stuff of movies or amusement park rides. 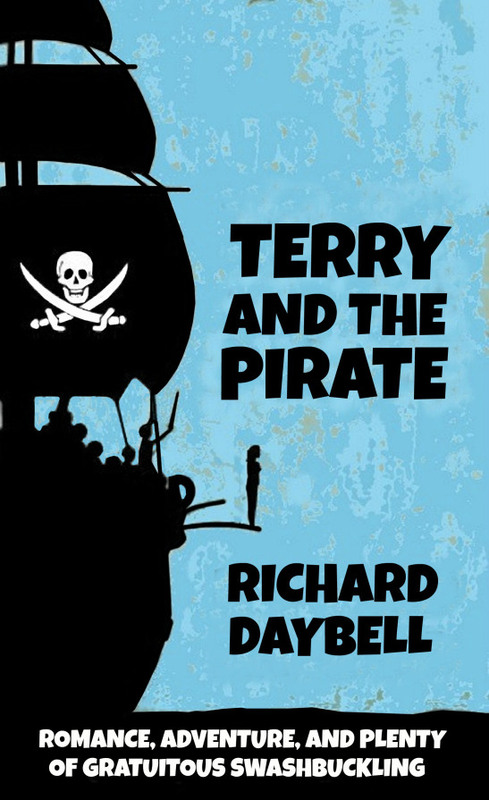 At least that’s what Terry thought before he washed up on a remote Caribbean island in front of the Booby Bay Cafe and found himself caught up in a cockeyed 21st century pirate adventure. Terry and the Pirate traces his idyllic days in an island paradise where he is befriended by Albert Lafitte, the amiable proprietor of the cafe (“Our wallet did float in with us, did it not?”), beguiled by the beautiful Remy (“May I ask how long you’re going to stare at my breasts?”), nearly killed by her jealous suitors (“Hangin’ be a proper death. ”), and finally lured into the ways of piracy.